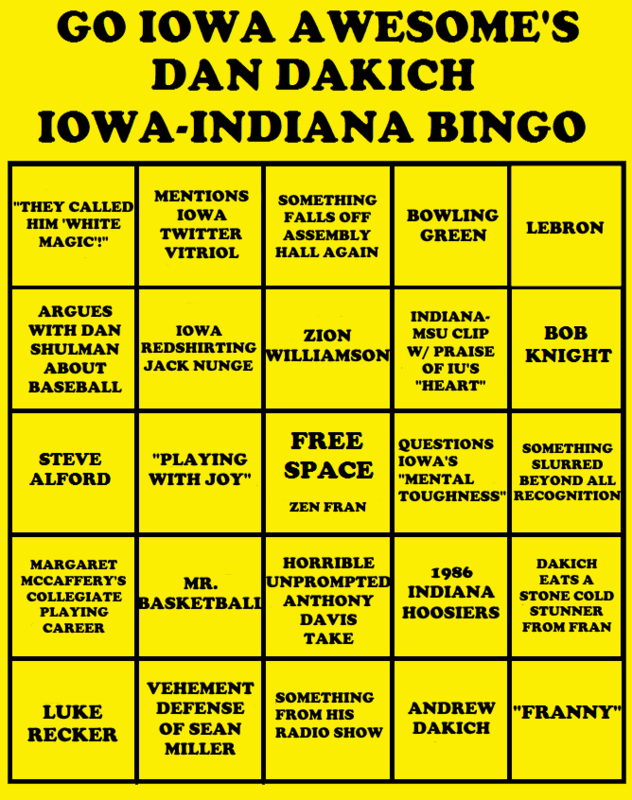 Play Dan Dakich Bingo for Iowa-Indiana! It's Iowa versus Indiana tonight. And Dan Dakich is on the call. Will we have any winners tonight? I feel like there's a few good possibilities on that board.